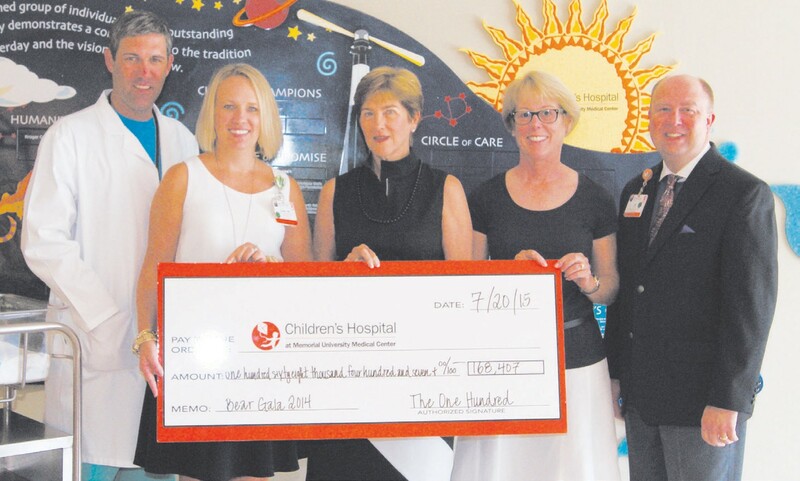 The One Hundred, a philanthropic group which supports The Children’s Hospital at Memorial University Medical Center, is gearing up for this year’s fundraisier Bear Gala by presenting a ceremonial check representing the $168,407 raised at last year’s event. In 2014, the Bear Gala funds were designated for the purchase of bili lights, special lights used to treat jaundice (excess bilirubin) in newborns. Senior Vice President. The designated urgent need for the 2015 Bear Gala proceeds will be the pediatric emergency department. This year’s Bear Gala will be held October 2 at the Plantation Club at The Landings. For information on tickets and other ways to support the event, visit info@TheOneHundred.net or call 912-598-0954.